PR- 955. 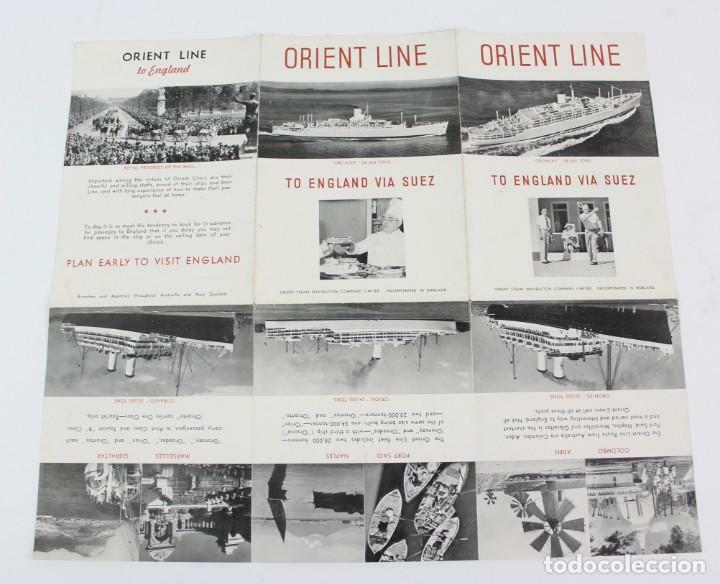 FOLLETO ORIENT LINE. 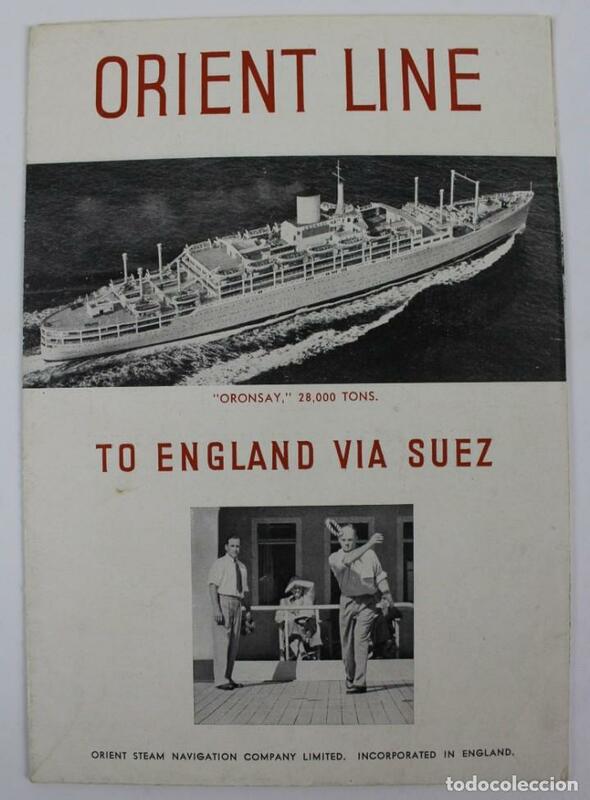 TO ENGLAND VIA SUEZ. ORIENT STEAM NAVIGATION COMPANY LIMITED. PAGINAS EXTENSIBLES. CON FOTOGRAFIAS. ESCRITO EN INGLES. FORMATO: 18 X 12,5 CM. PR-279. FOLLETO PROMOCIONAL MATSON LINE TO HAWAÏ, NEW ZELAND, AUSTRALIA. AÑOS 30. PR- 313. 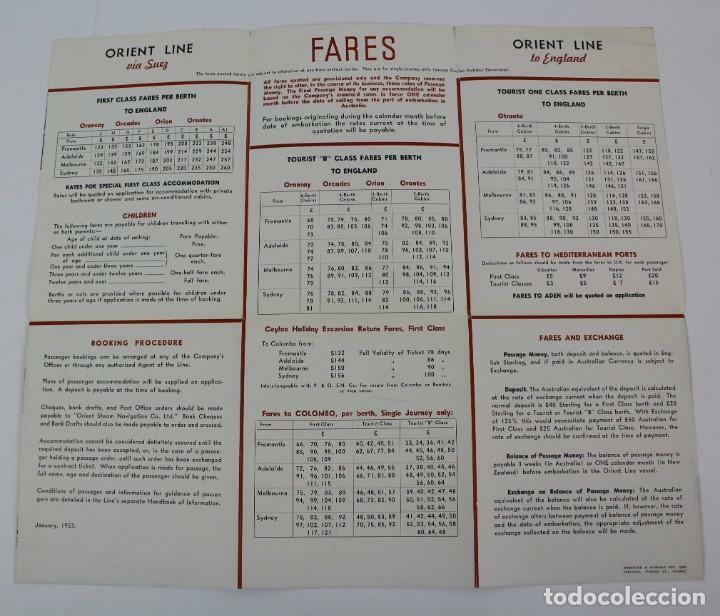 FOLLETO PRESIDENT LINERS. DOLLAR STEAMSHIP LINE. PR- 639. FOLLETO CUNARD LINE SUMMER MEDITERRANEAN CRUISE. 1961. CARONIA. PR- 820. FOLLETO DE PROPAGANDA CUNARD STAR LINE, TOURIST. Hora oficial TC: 02:36:51 TR: 114 ms.